Today’s military is deployed around the world, and that requires defense/safety contractors to develop equipment that performs in a variety of environments and situations. They’re increasingly considering plastic materials for military applications, but developing solutions isn’t without complexities. First, there are myriad Department of Defense (DoD) military specifications with regard to plastic materials. MIL-PRF-5425 E delineates detailed federal mandates regarding material properties including optical quality, transparency and heat resistance. With that comes at least 10 different test method requirements from the American Society Testing and Materials (ASTM). In addition, the North Atlantic Treaty Organization (NATO) can weigh in under their standardization agreements (STANAG) and Underwriters Laboratories has nine enforceable, military ammunition-specific protection levels under UL 752. Then there’s the challenge of finding the plastic materials that comply with all of these regulations — and perform for your application. This is made easier for defense/safety contractors who turn to an experienced full-service molder for guidance. 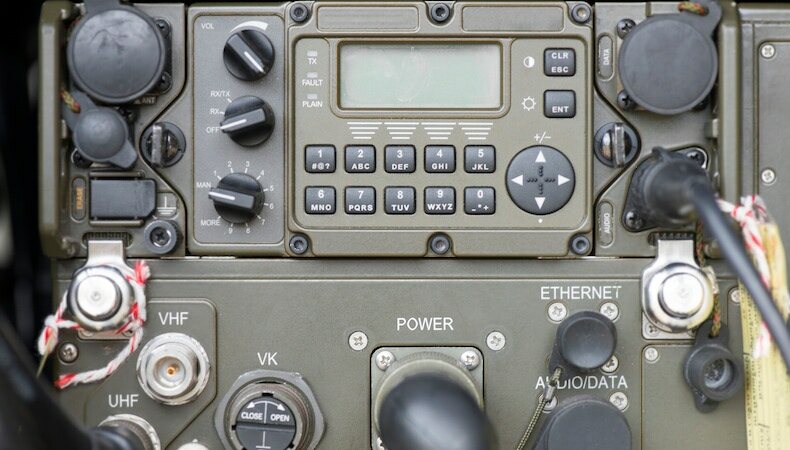 Plastic characteristics: The materials and processes chosen to advance technologies in field gear, transportation systems and navigational devices are imperative for service personnel safety. Converting metal parts to injection-molded plastic components provides critical light weighting for military, including improved gear and equipment portability, durability, stealth capabilities electrostatic discharge and ease of use. Plastic types: The requirements of military/defense applications narrows the breadth of resins appropriate for use, and brings several types of common thermoplastics to the forefront for consideration: nylon, Polyether ether ketone (PEEK) and reinforced polycarbonate. Plastics performance: If not properly recognized and addressed, plastics’ behavior in and out of the mold can lead to shrinkage, warping, moldability problems, incompatibility with secondary operations and other negative outcomes that could endanger military personnel. Plastic material selection impacts all aspects of producing an injection-molded component for military/defense applications. Without input from an experienced ITAR-certified molder like Kaysun, a seemingly good fit could quickly lead to unanticipated expense, biased outcomes or completely derailed projects. Learn more about how complex injection molders devise, develop and produce plastic components that help military/defense products work smarter and harder in the field in Plastic Materials for Safety and Reliability – A Guide to Military/Defense Applications. Click the button below to download your free copy.